Even though this game is apart of the 7th Generation of Pokemon, players will not have to find the eight hundred or so Pokemon that are currently known to exist in order to finish their Pokedex. Instead, all they will have to do is find and capture the original 151 Kanto Pokemon and the two newest Mythical Pokemon, Meltan and Melmetal. Below is a list of all the Pokemon found in this updated version of the Kanto Region Pokedex. Need Pokemon Info for other Mainstream Pokemon Games? 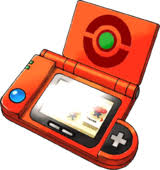 Check out our extensive Pokedex Here! Need help finding a specific Pokemon in the game? Ask us a question here!